Home Good Acts and Stories Baby Smiles With New Glasses! This is a gift. Great video to watch. The baby has lived her life without that sharp clarity that comes through sight! When she puts on the glasses, something great happens. As the baby smiles, you will smile. 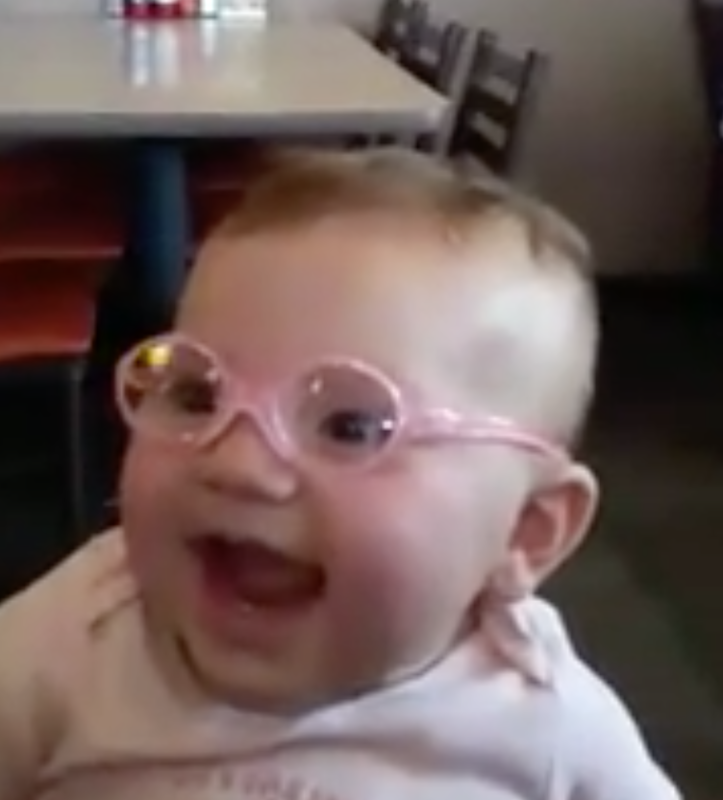 Look at the baby’s face change as she puts the glasses on. I love it.